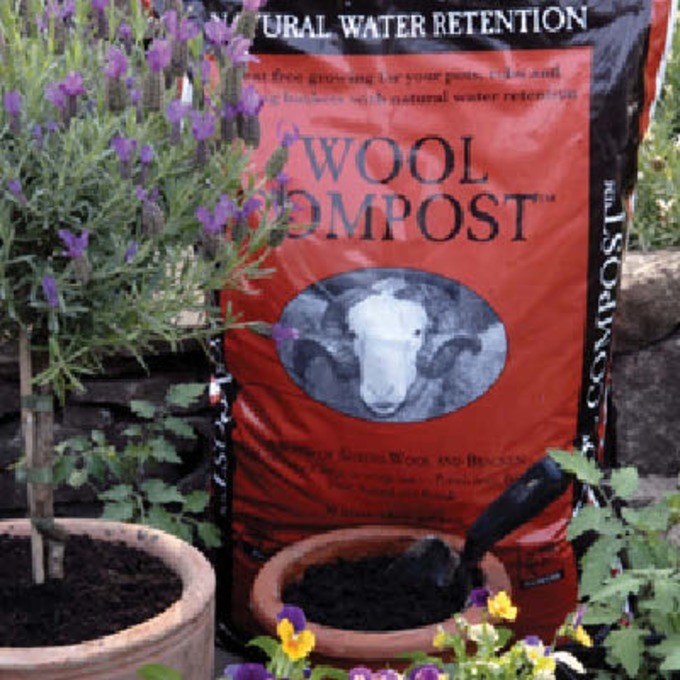 A rich compost made from bracken and sheep’s wool to really boost your plants. Use to grow flowers, fruit, vegetables and trees. Bracken provides natural potash essential for fruit and flowers, whilst wool contains slow release nitrogen and retains water. A real alternative to peat - and with a similar soft texture. Made from totally renewable resources with great environmental benefits to help you garden more sustainably. Made in UK, 100% British. High potash content. Fill your pots, tubs and hanging baskets loosely with the compost. Water well before use. Plant bedding or well rooted seedlings direct into the compost. Can also be used directly in planting pits to supply plants or shrubs with a perfect start. Use to fill your raised beds for perfect vegetable growing. Does not require the addition of fertilizers or plant feed.